The Faber Foundation provides a State of the art, Automotive Collision & Refinishing Repair Program located in Cuyahoga Falls, Ohio. 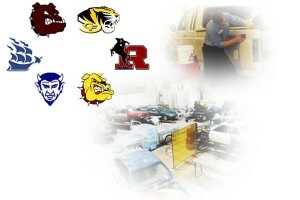 The training readies students to enter the $30 billion dollar collision repair industry. The two year program is for Junior and seniors from the Six District Compact. The Faber Foundation was built on the site where, the Jack Faber Body and Paint stood in Cuyahoga Falls for more than 50 years, Clara Faber, Jacob’s widow, created the foundation to give back the community that supported their business for so long. This Program is offered at no charge to the students, or the school districts. The Faber Foundation receives no Government or school funding. We rely solely from donations, from the community.